Super popular beauty, spa and wellbeing service Wahanda has finally launched its own iOS app, making last-minute appointment booking easier than ever. 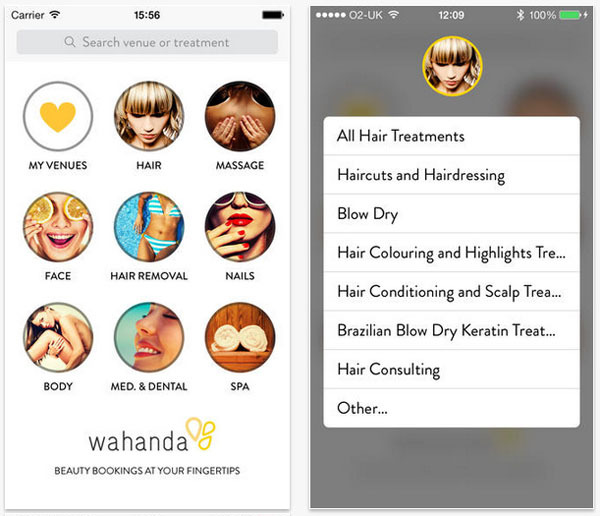 Those who are already big fans of Wahanda will find the new app really useful, as it provides you with all of the same information and access to salons and spas that you can find on the web, like reviews, booking and in-depth venue details. The app is particularly useful for those living in a busy city because it uses your location to serve up the closest venues to you. This is really handy if you’re anything like me and didn’t realise there’s an awesome little salon just a few streets behind your office that you never knew existed. You can book your appointment slot in real-time using the app, make a secure payment and then save it for next time in your ‘My Venues’ tab to make rebooking even easier. The Wahanda app is available from the iTunes store for free.